Are you entranced by the graceful forms of wushu weaponry? 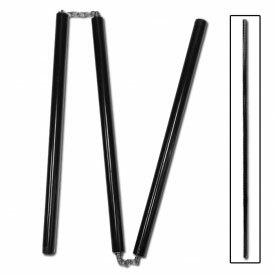 Have you been looking for a new kung fu demo staff that is as elegant as it is unique? 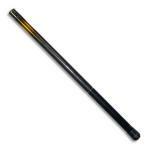 Our Telescoping Wushu Staff is for you! 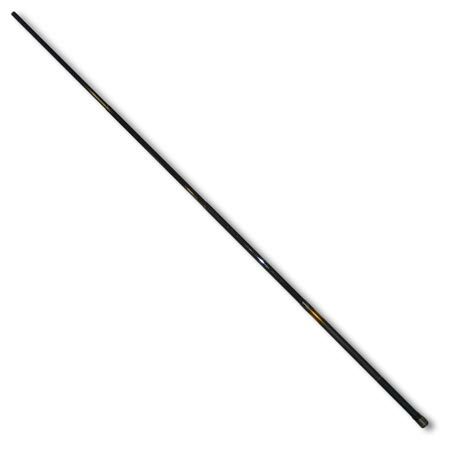 Cut from quality, lightweight fiberglass tubing, this wushu staff is as portable as a training weapon can get. The attractive finish is a jet black "wet" lacquer, guaranteed to impress a martial arts demo audience. The handle has a lightly textured area for gripping and a carbon fiber style black and grey checkerboard pattern accented with a gold band. 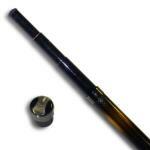 This amazing staff is available in two sizes. The smaller size is 24-inches when collapsed and extends to 60-inches. 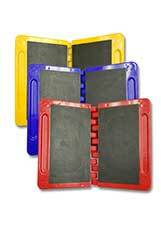 Our larger size is 22.5-inches when collapsed and extends to an impressive 76-inches! A faux velvet carrying sleeve with a drawstring closure (not pictured) is included to give your staff safe transport to and from classes. Note:This staff is not intended for use as a striking weapon! It will break if it is subjected to impact. Use this staff for demonstration of forms and katas only! 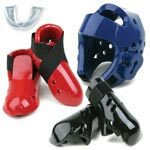 Lightweight Construction - Ideal for training or kung fu demos! Telescoping Design - Collapses for easy carry, dramatic opening! Carrying Case Included - A classy way to carry your staff! Please be aware that the lengths of these staffs are approximate and may be slightly over or under the length you choose. If you need one to be an exact length, please call us prior to placing your order so we can find one for you. "First off, I have to give a shout out for the 5 star customer service I received. Staff are friendly, understanding and very promptly respond to the customers needs. 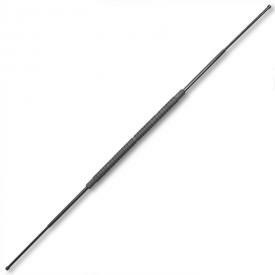 This is a really cool product, I love the look on people's faces when I take it out and pretend it's a nice looking escrima stick, then I pull the cap and flick it out to it's full 6 ft plus length. Everyone I've shown it to wants one. I would recommend this to an accomplished staff user. 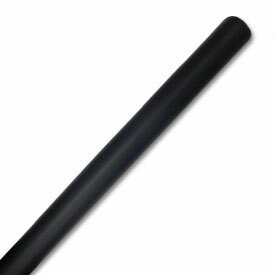 This is not a staff for a beginner as it can be easily damaged as it is thin fiberglass. That being said this thing is an awesome conversational piece and is a lot of fun to carefully play with. I would love to see this product made out of Carbon fiber. I would happily pay 3 or 4 times the price. If you are not sure about sizing I would recommend starting with the smaller staff. 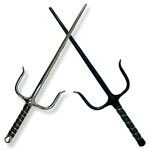 All in all a really cool buy"
"This is definitely not a combat weapon, but it was awesome to use in my last weapon kata competition because I was able to do some things that the judges hadn't seen before. 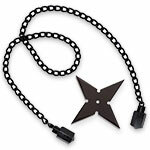 It is very light weight, so don't wack it against anything too hard, but for weapon demos, it's pretty sweet."